Bob Beall was born in Hillsboro, Oregon, a descendant of Conrad and Elisabeth Derr, Volga German immigrants from Norka, Russia. In his senior year at Hillsboro Union High School (Hilhi), Bob was named "Baseball Player of the Year" for the state of Oregon (Hilhi won the state championship that year, 1966) and was offered full ride scholarships to the University of Oregon and Oregon State University (OSU). 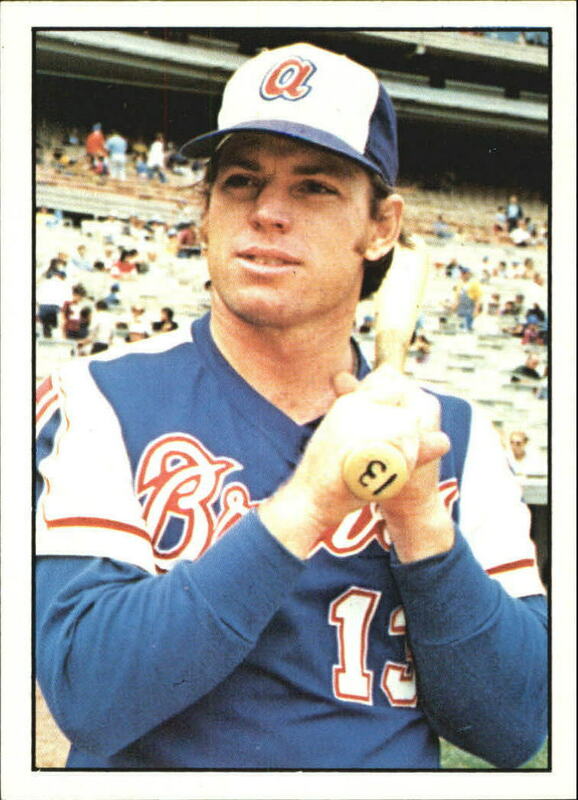 1976 SSPC Atlanta Braves Baseball Card featuring Bob Beall. Bob was a first team all-Pac-8 all-star first baseman and captain of the baseball team at OSU; he also made a splash his sophomore and junior seasons by being the first left-handed third baseman in Pac-8 history. Upon graduation with a degree in mathematics in 1970, Bob signed with the Philadelphia Phillies organization, was assigned to that team's "low-A" Northwest League affiliate in Walla Walla, WA. He hit .389, the highest average that year in "organized baseball" and led the league in virtually every offensive category. He spent the next season in the "high-A" Carolina League (Newport News, VA), the following year with the "double-AA" Eastern League team at Reading, PA and the following season in "Triple A" with the Eugene Emeralds. He was traded to the Atlanta Braves and spent the rest of his baseball career, except for his final year, with the Braves Triple A (Richmond, Virginia) and major league teams. He spent all or parts of four seasons in the major leagues. He was traded to Pittsburgh and spent his final season as a player-coach for the Portland Beavers (the Pirates' Triple A team in the Pacific Coast League), before being pulled up to the major league club for their September stretch drive. Bob retired in 1981 and joined Nike Corporation. He is married to wife Nancy and has one son, Bob, also a graduate of Hilhi and OSU. Bob is the brother of Jim Beall. Wikipedia article on Bob Beall.